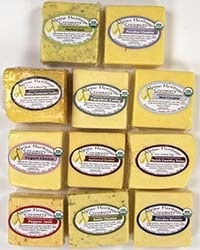 A wide variety of cheese suitable for sophisticated palates! If you are interested in purchasing our cheese for resale please fill out the following form, you will then be taken directly to our Current Wholesale Price List Page. You must complete the whole form to continue!